Memo Rojas has been confirmed at IDEC Sport for the upcoming European Le Mans Series and 24 Hours of Le Mans. The reigning champion was linked with the team last week after the French squad announced it would run one Oreca 07 Gibson and one Ligier JS P217 Gibson for the season. 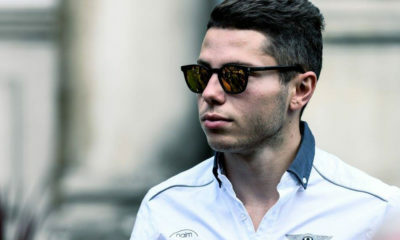 Rojas will drive the Oreca alongside Paul Lafargue and Paul-Loup Chatin for both the six-round ELMS season and Le Mans. He drove the G-Drive-backed DragonSpeed car last season, working with Nicolas Minassian, who has since moved into a management role at IDEC Sport. “I had the pleasure of working with Nicolas last year and we have developed much more than just a professional relationship,” said Rojas. “We had mentioned the possibility of driving for IDEC Sport. I think it’s a team with great potential. It has the human and material resources to accomplish great things. “In 2004, I lived a year in Le Mans to be able to drive in Europe. At the time, my engineer’s name was Eric Boullier! I am delighted to find a French team. “In addition, I’m really happy to have Paul and Paul-Loup as teammates. Paul is a very good Silver driver and one of the keys to endurance success.